The Olympic Village is a Barcelona neighborhood, despite its youth, it is steeped in history. The district is located in an old industrial area of Poblenou, calledIcaria in memory of the utopian Socialists. Live the Olympic village is a luxury by its location and its friendly nature. HJAPÓN offers you a range of housing units in the Olympic Village so they adapt to your needs and desires and, thus, to find the house of your dreams. Although the Vila Olympic Village neighborhood built on reason of urban intervention of the 1992 Olympics, fact that load of symbolism, today is a perfect family and young neighborhood for those who want to enjoy the comfort, the quiet, the Sun and the sea, at the same time that you want to enjoy the life energy of the Mediterranean European city par excellence, Barcelona. 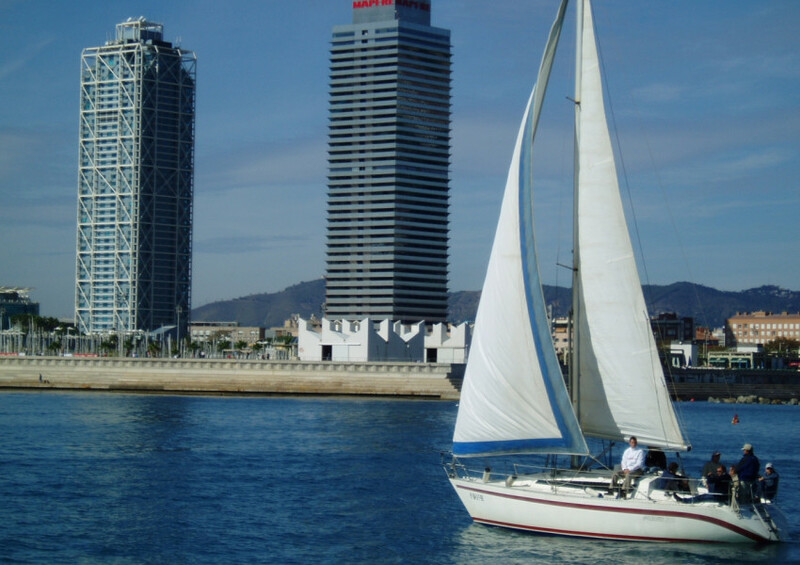 Advantageous is its location, as it is located next to the sea and the beaches of Barcelona, as well as its Center. The Ciutadella Park, the Arch of Triumph, ‘Les Glòries’ square, la Barceloneta, France Station, Port Olímpic, Born, the Forum and a long etc. are within walking distance of Olympic Village. It is a spacing, wide and comfortable neighborhood that evolves every year. Many companies design and creative advantage and reshape the old factories to create space airy, modern and full of light for their studies. Supermarkets, small shops, bread-ovens, schools, library, gymnasiums, University Pompeu Fabra and the cinemas make Olympic Village a perfect neighborhood to live to enjoy. Tranquility, comfort, wellbeing and perfect location make it a perfect neighbourhood for family life. The views of the Tibidavoand the Sagrada Familia majestic rise above the city, contemplating, as privileged, since the beginning of Marina street. Run beside the beach, playing paddle tennis or even practicing golf shots can be in the Centre of a district full of energy. Living in Olympic Village is a luxury. Penthouses who look to the sea, terraces where you can enjoy a nice dinner overlooking the Tibidabo, enjoy the sunset with a glass of wine and breathe the air that renews the sea. HJAPÓN offers you houses, flats, apartments and spacious houses and bright so happiness invade you to feel the warmth of home. Multiplex Cinemas Yelmo Icaria O.V. Fifteen cinemas fully digitalised, where you can enjoy the film in 3D. All the films are projected l in Original Version. Born on 1992 as sports and fitness of athletes residing at the Olympic Village during the Olympics. Bakery organic production with a variety of breads and flours. We recommend their sandwiches, arriving in the gourmet category. In addition to cafeteria, also offer menus and simple dishes but quality and tasty. Restaurant Lounge club inspired by the aesthetic feng – shui in the Far East. Elegant and sober Club to two steps from the sea. Restaurant fish and seafood located at the Olympic port of Barcelona. A restaurant offering typical dishes of the Mediterranean cuisine overlooking the beaches and port. Bar restaurant of the luxurious five star hotel Pullman Barcelona Skipper. In its attic is located The Atic Bar where you can relax and enjoy the stunning terrace with swimming pool and unique sea views. Select and warm restaurant with intimate decor. The chef combines market with personal touches resulting in an original cuisine and cuisine of quality.